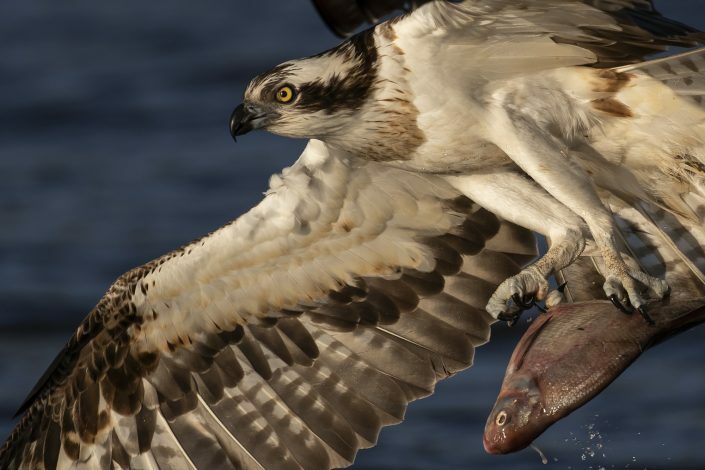 also called fish eagle, sea hawk, river hawk, and fish hawk—is a diurnal, fish-eating bird of prey with a cosmopolitan range. 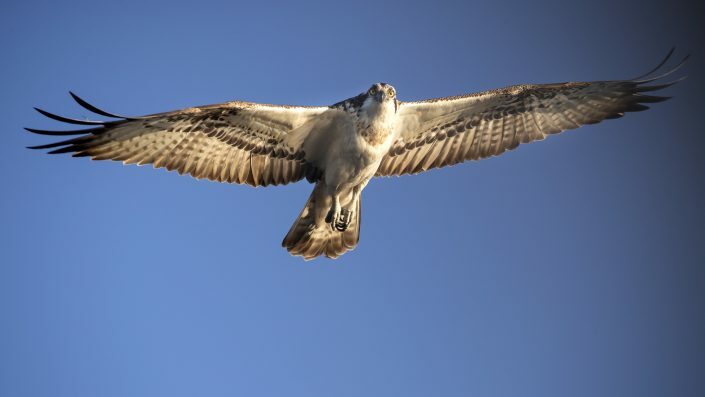 It is a medium raptor, reaching more than 60 cm (24 in) in length and 180 cm (71 in) across the wings. 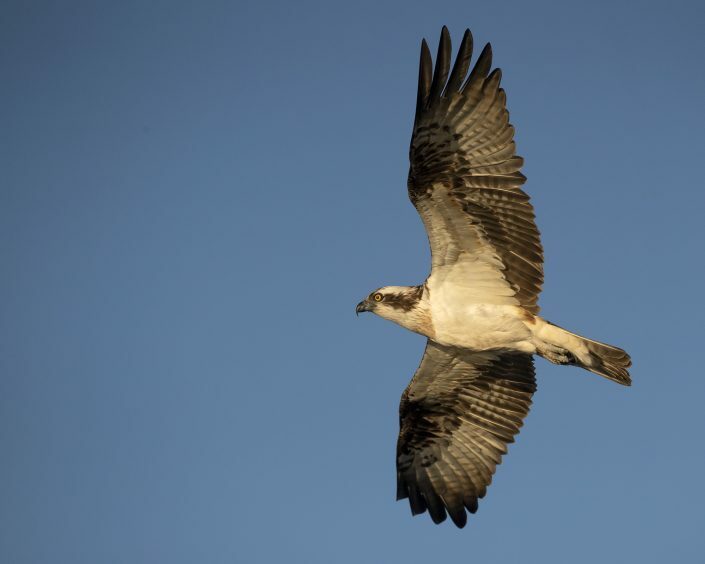 It is brown on the upperparts and predominantly greyish on the head and underparts. 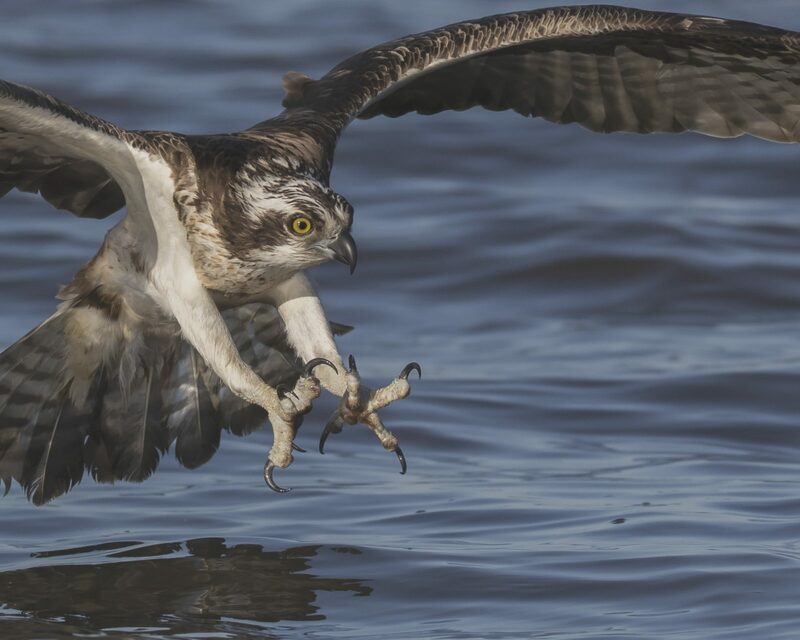 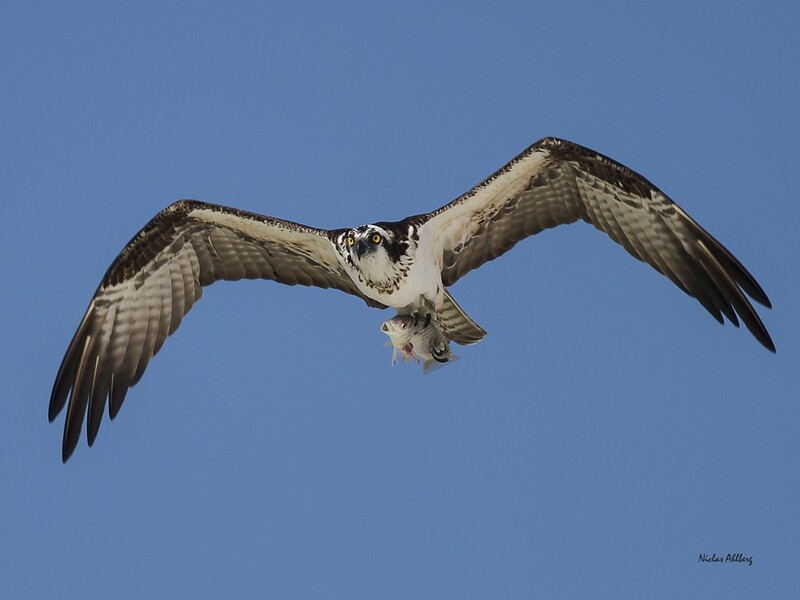 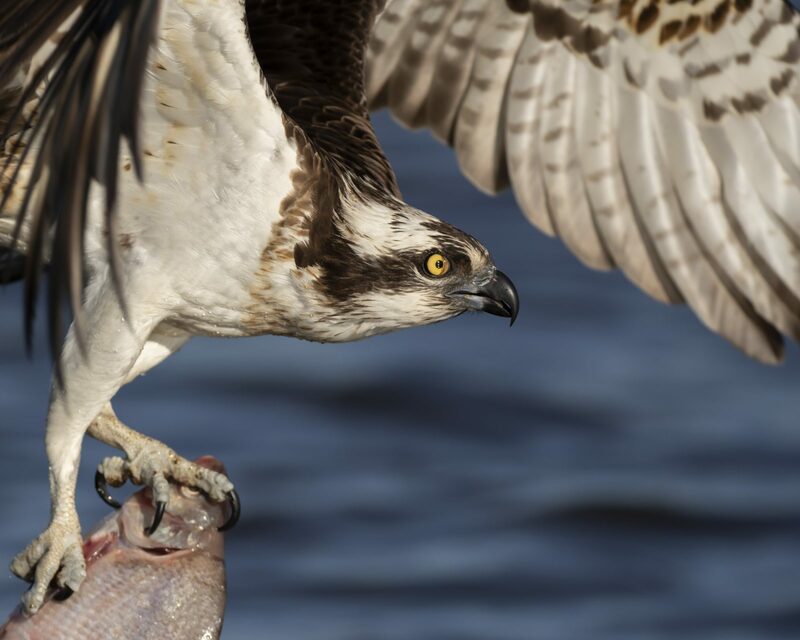 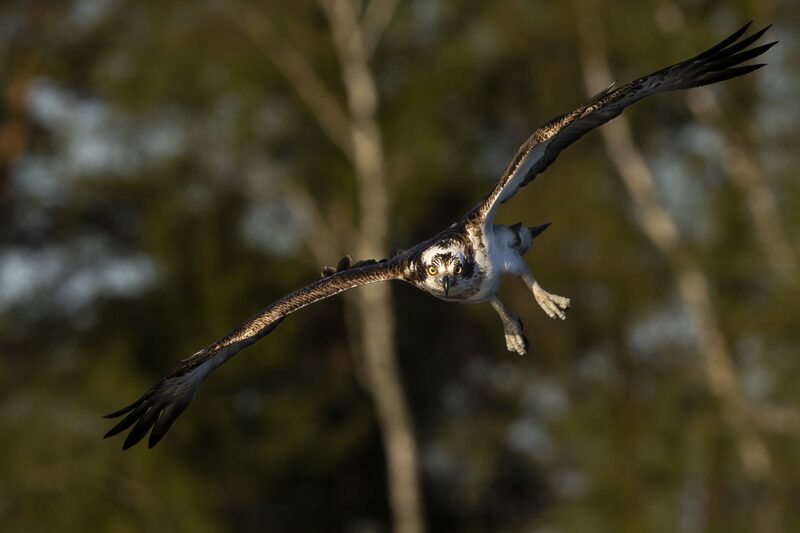 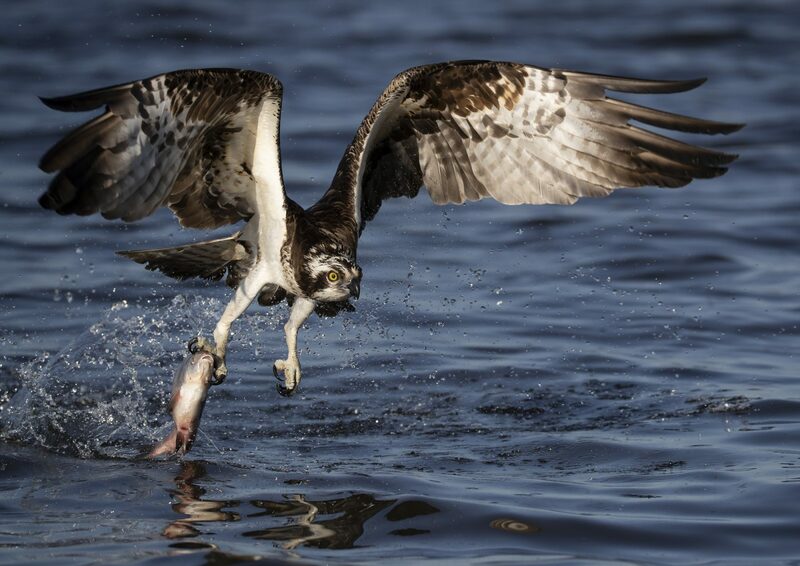 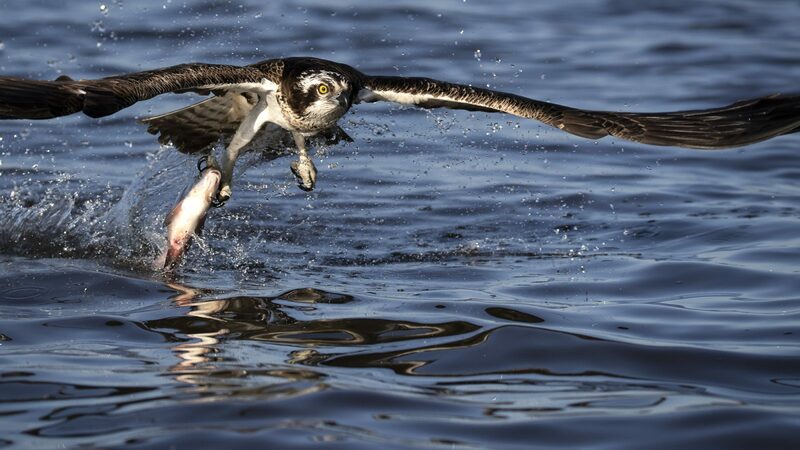 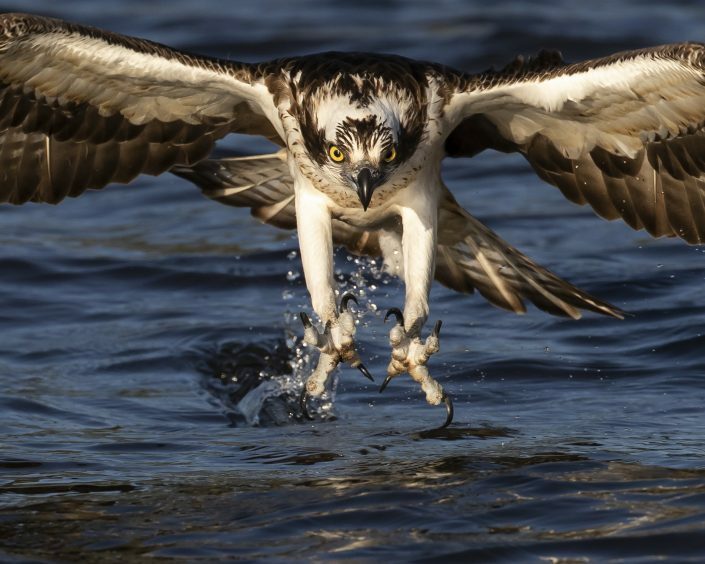 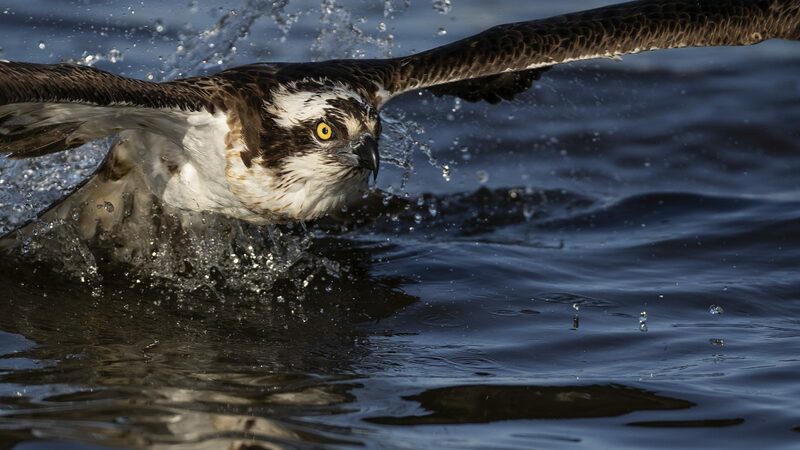 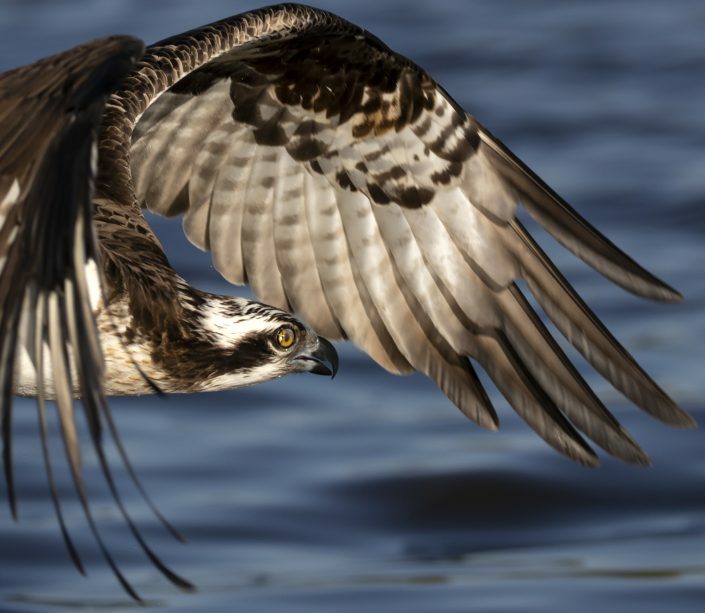 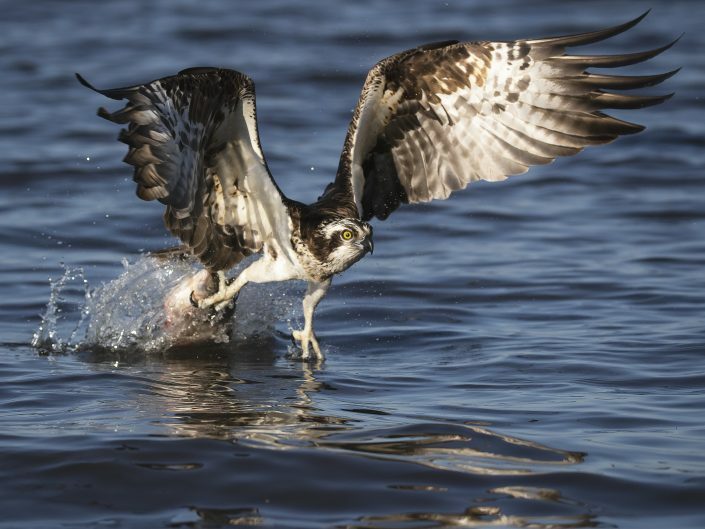 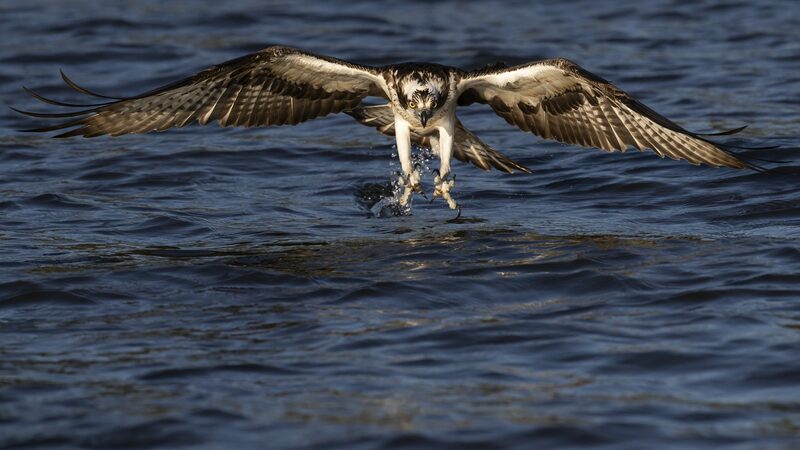 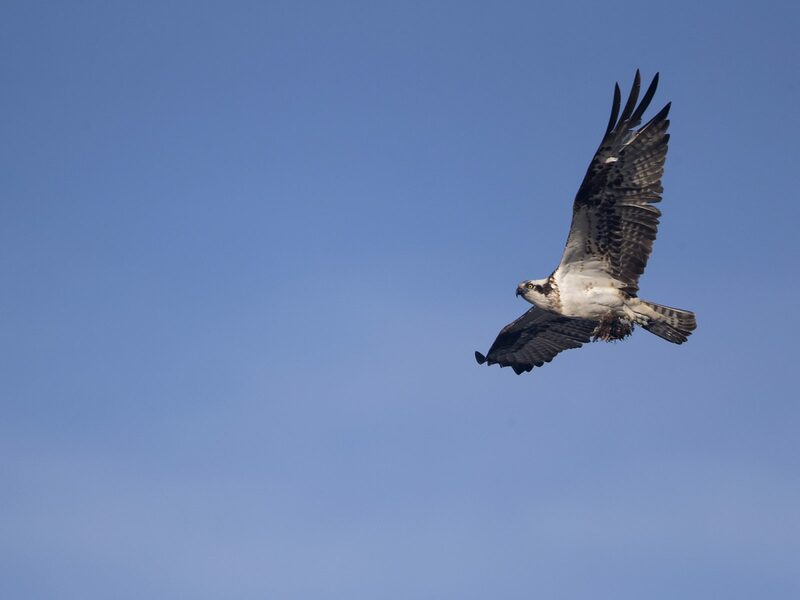 As its other common names suggest, the osprey’s diet consists almost exclusively of fish. 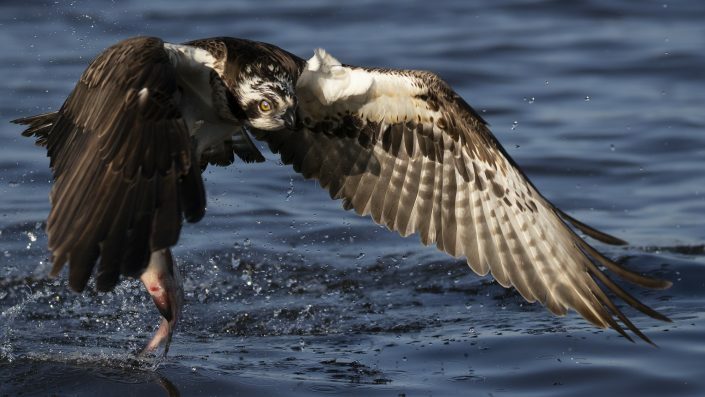 It possesses specialised physical characteristics and exhibits unique behaviour to assist in hunting and catching prey. 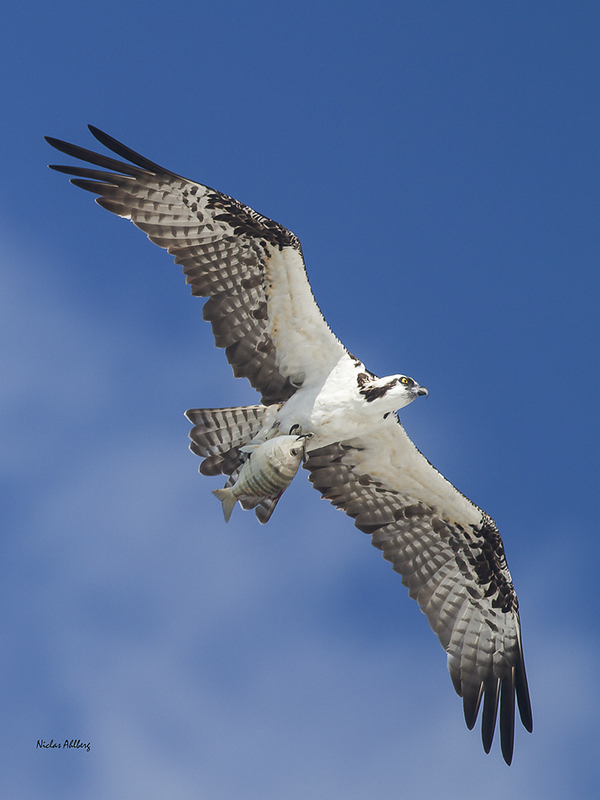 As a result of these unique characteristics, it has been given its own taxonomic genus, Pandion and family, Pandionidae. Four subspecies are usually recognized, one of which has recently been given full species status (see below). 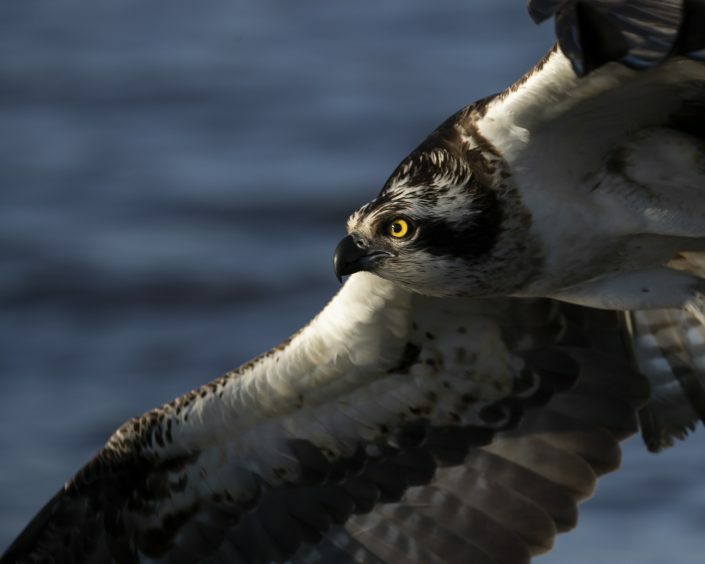 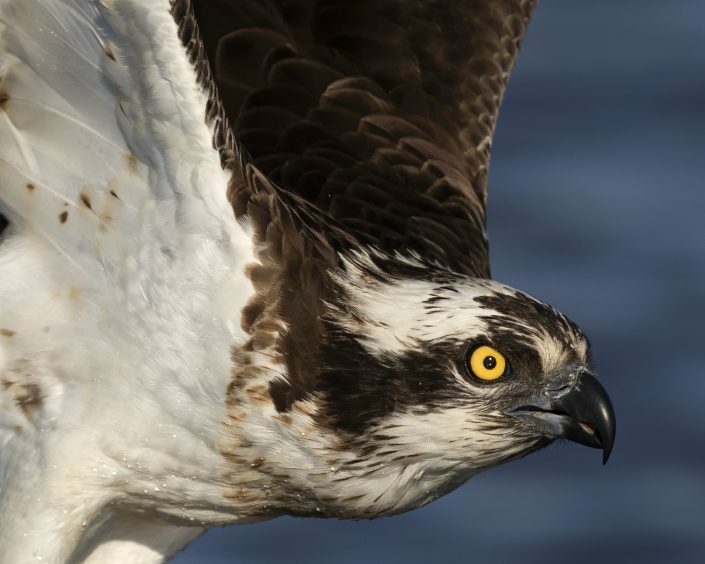 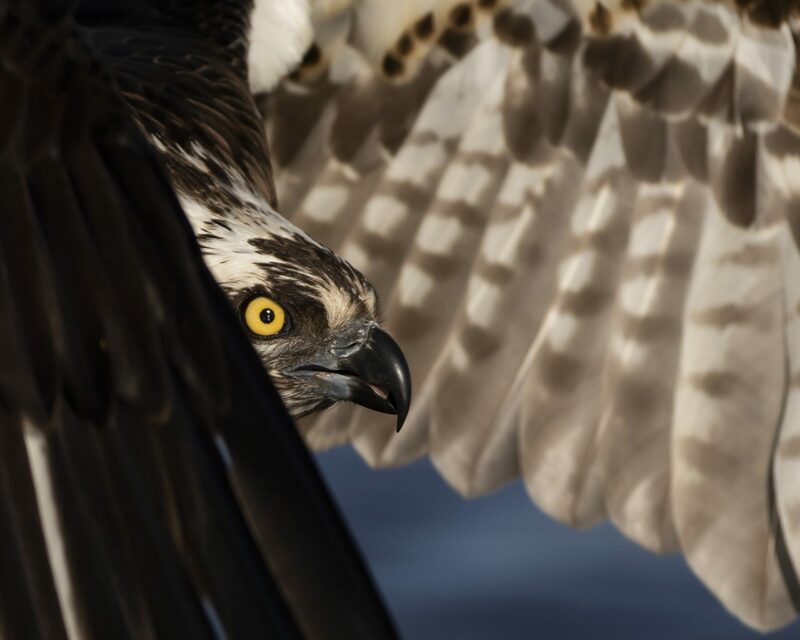 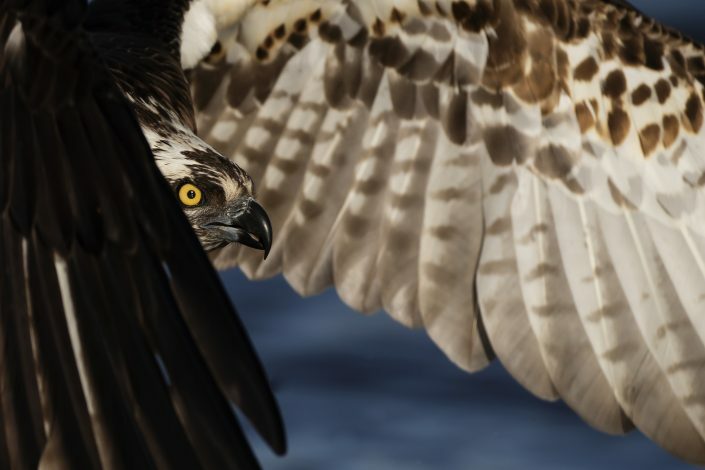 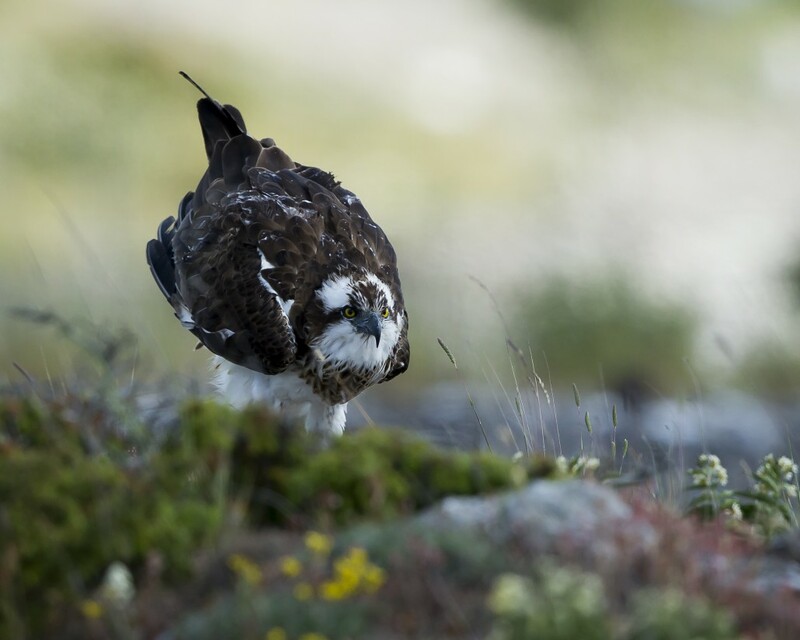 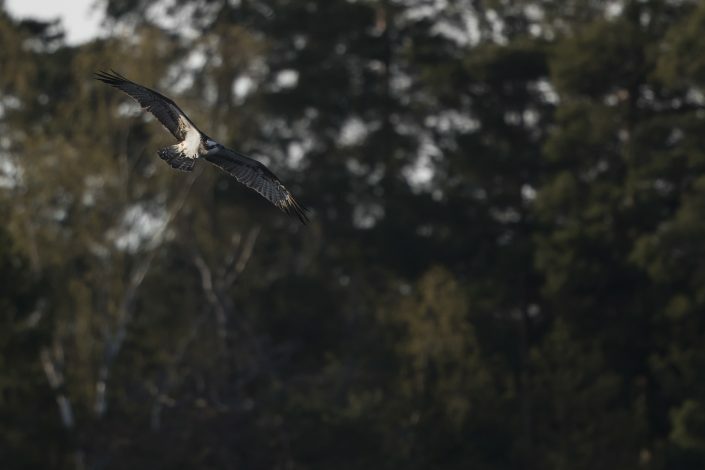 Despite its propensity to nest near water, the osprey is not classed as a sea eagle. 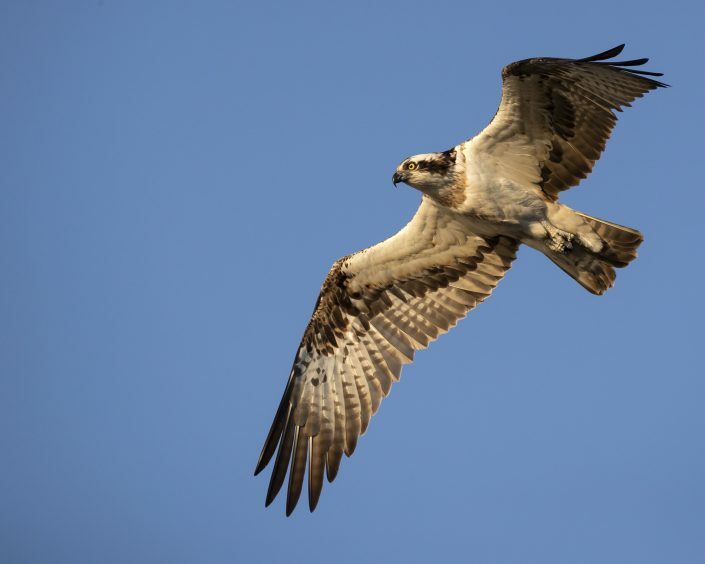 The osprey is the second most widely distributed raptor species, after the peregrine falcon. It has a worldwide distribution and is found in temperate and tropical regions of all continents except Antarctica. 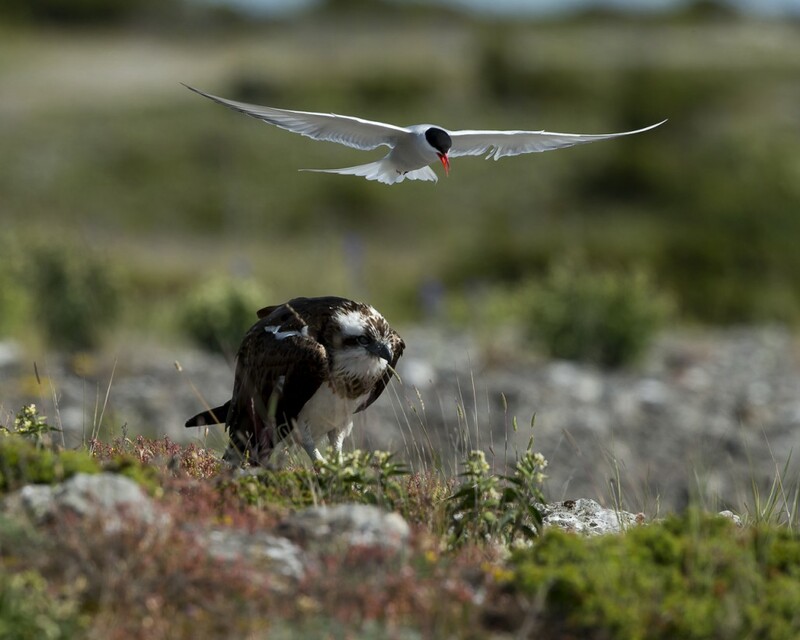 In North America it breeds from Alaska and Newfoundland south to the Gulf Coast and Florida, wintering further south from the southern United States through to Argentina. 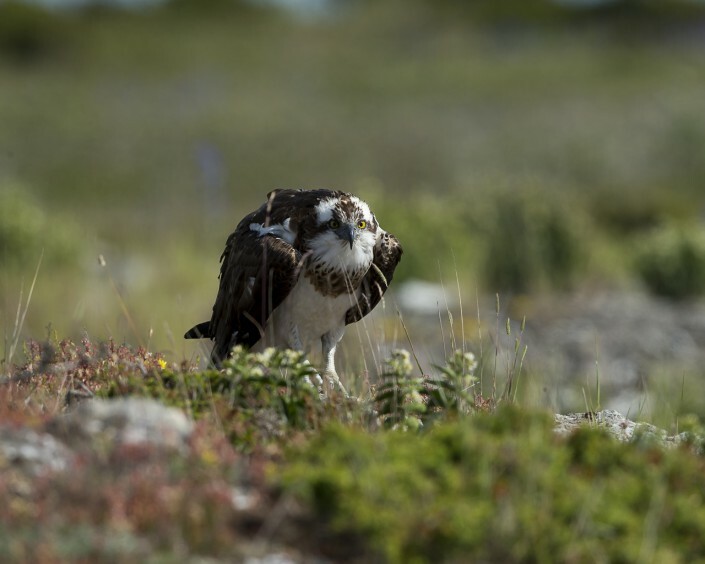 It is found in summer throughout Europe north into Ireland, Scandinavia, Finland and Scotland, England, and Wales though not Iceland, and winters in North Africa.